EVS LATHES COMPACT. POWERFUL. PERFECTION. These lathes pack large lathe features into compact footprints that make them perfect for schools, small shops, and engineering labs. 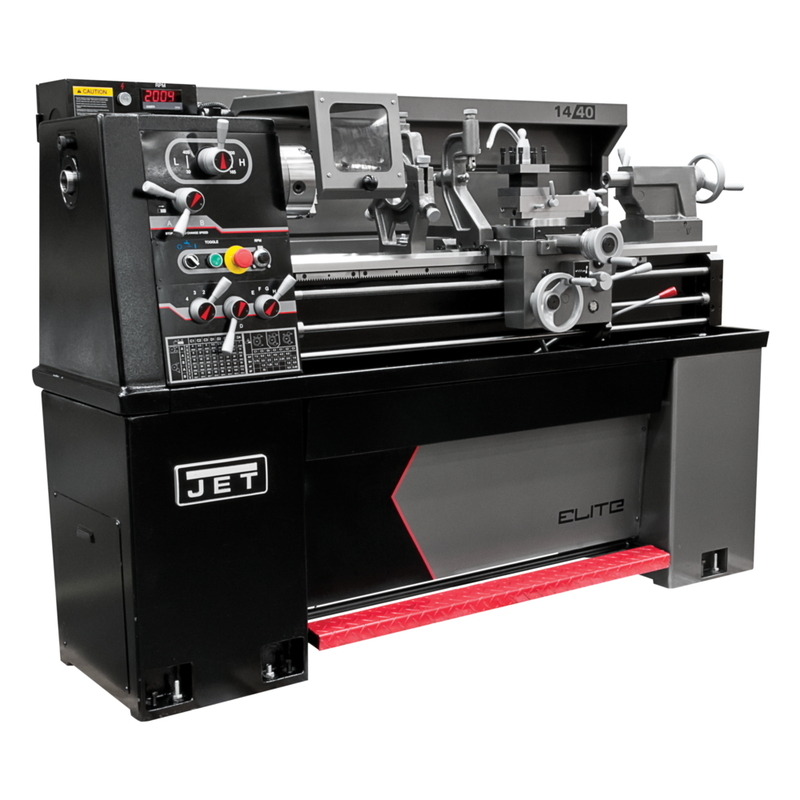 Featuring an Electro-magnetic brake, 3 Jaw Chuck, ball bearing-mounted steady & follow rests and CNC Style Lighting with enclosed splash guard, these lathes have CSA/UL approved electronics, and truly are Elite! COMES WITH AN UNPRECEDENTED 3 YEAR FACTORY WARRANTY FOR PARTS AND SERVICE! !